Gossa Lô. Using Natural Language Processing Techniques to Identify West African Features in Folk Narratives. Thesis Design Artificial Intelligence. Vrije Universiteit Amsterdam March 2019. See the presentation: [PDF], and the thesis design: [PDF]. Yifan Zhan. Thesis Design Information Science. Vrije Universiteit Amsterdam, March 2019 [PDF]. Marc Hegeman. Thesis Design Information Science. Vrije Universiteit Amsterdam March 2019 [PDF]. Carlbandro Edoga. Digital Divide: Social Inclusion of Homeless People in the Netherlands. February 2019. [PDF]. Derek van den Nieuwenhuijzen. Using Virtual Agents to Bridge the Dutch Illiteracy Gap. Thesis Design Information Science. Vrije Universiteit Amsterdam, February 2019. [PDF]. Natasja Mooij. 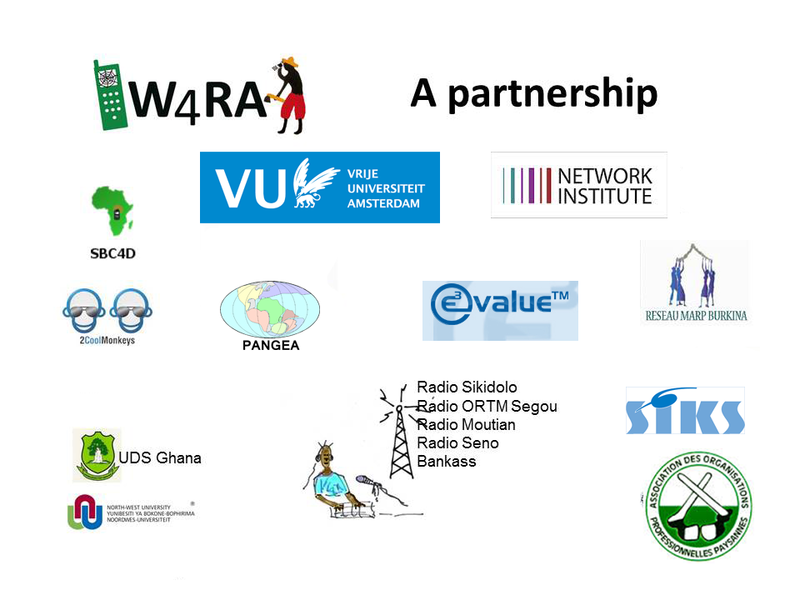 Talking about the rain in Ghana – Creating a system to support local weather data exchange. Thesis Design Information Science. Vrije Universiteit Amsterdam, January 2019. [PDF]. Allard Oelen. Measuring surface water quality using a low-cost sensor kit within the context of rural Africa. Master Thesis Information Science. September 2018 [PDF]. Tom de Jong. A field validation of the ICT4D 3.0 Framework in rural Sarawak, Malaysia. Master Thesis VU Information Science. August 2018 [PDF]. Hameedat Omoine. An Approach to a Sustainable Weather Information System for Farmers in Rural Burkina Faso. Master Thesis VU Computer Science. July 2018 [PDF]. Sharon Afua Grundmann. Feasibility Study of a Mobile Payment System on Kasadaka: a sustainable voice service platform. Bachelor Thesis VU Amsterdam, Computer Science. June 2018 [PDF]. Guusje Boomgaard, Anastasios Sidiropoulos, Ludwig Hoon, Nip van Wees. EDUCOMX, An educational game for children to learn English. Optimized for OLPC-XO4 and smartphones. Master student project ICT4D in the Field Project in Sarawak, Malaysia. July 2018. [PDF]. Justyna Kleczar . General purpose methodology and tooling for Text-to-Speech support in voice services for under-resourced languages. Master Thesis VU Information Science. July 2017. [PDF]. Aske Robenhagen and Bart Aubers Mali Milk 3.0. A voice-based milk selling and farmer networking platform for Tominian Mali. Project report, submitted to the Downscale Workshop, ICT4S Conference, August 2016 Amsterdam. [PDF].